CBS News paid tribute to legendary photographer Henry Diltz earlier this month. You can watch the video in full by clicking here. Diltz told CBS the stories behind some of his photo shoots, including the one with Mitchell and Crosby, pictured left. 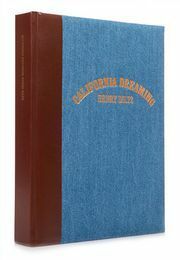 For more photographs and stories from Henry Diltz and almost 50 contributors, take a look at CALIFORNIA DREAMING. A small number of copies remain in this limited edition, which you can order today by clicking here.